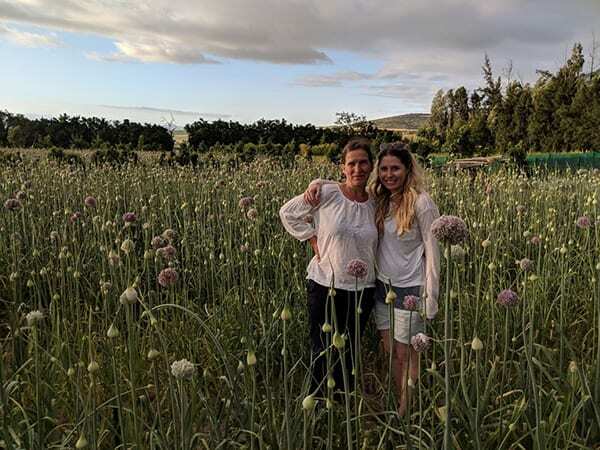 I’m delighted to feature an interview with floral designer Sylvia Lukach from Cape Lily (pictured above) about a new kind of floral retreat she’s calling a ‘Botanical Journey’ this March in South Africa. The emphasis being not just on floral design but also personal growth. 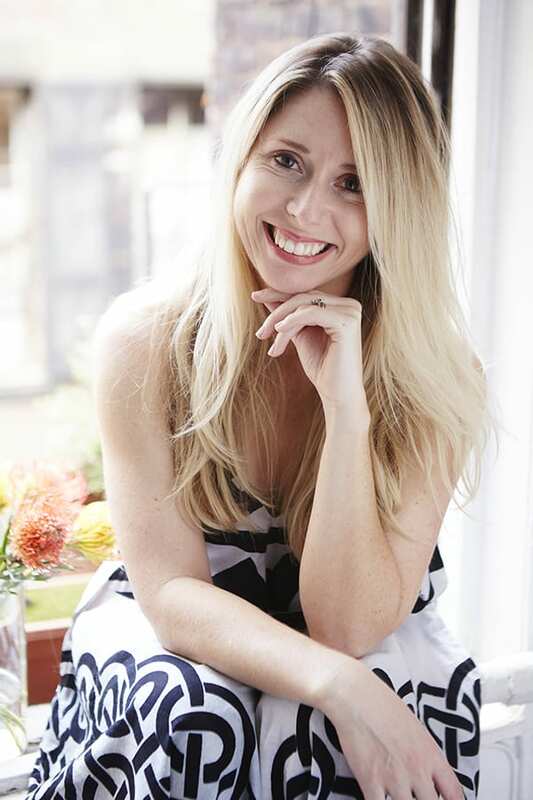 And the incredibly talented Susan McLeary from Passionflower is one of the guest teachers! What prompted you to organise the Botanical Journey? 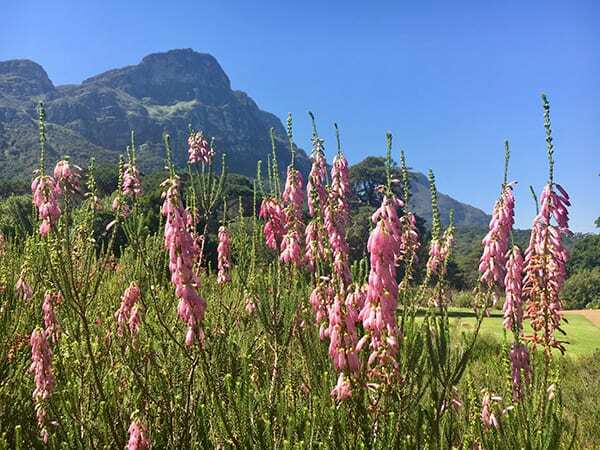 I was chatting to friends and family last year about how unique our South African flora is and how there’s this botanical revival happening there right now – from craft gins and cordials to perfumes. I was joking and saying it’s unfair that yogis have yoga retreats and foodies have cooking classes in Italy but flower lovers only seem to have quite old-school, what I call the “granny garden tours” to Chelsea. 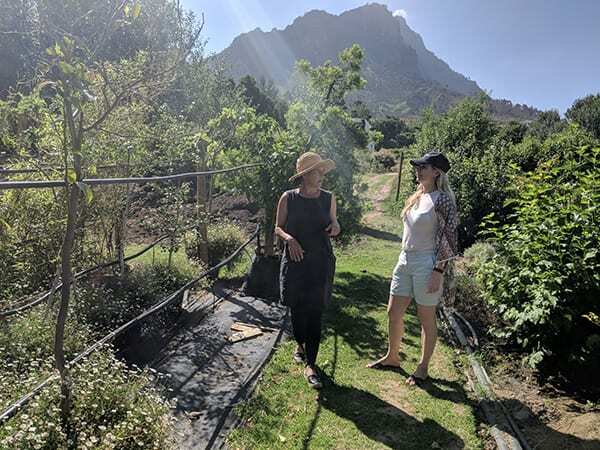 It was just a seed of an idea, but then I met Susan McLeary of Passionflower at a workshop and she expressed interest in doing a workshop in South Africa and I thought, let’s make this happen! I love travel and connecting people and of course flowers, so it seemed like a perfect fit for me to throw my energy into. Plus all my friends and family are still in South Africa, so it feels like I’m taking people home and sharing it with them, which is so rewarding. What type of florist is it suitable for? The Journey is designed for flower lovers of all levels. 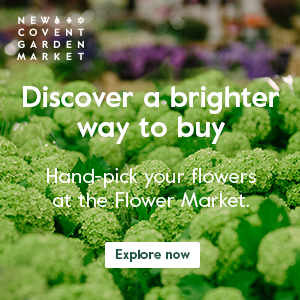 We tailor the design to the level of experience but I expect all sorts to join – from hobbyists to full-time florists and even people who’ve never played with flowers before but are looking for a new creative escape. The only requirements are to be curious, have a positive attitude and fully embrace the immersive nature of the experience. When is The Botanical Journey taking place? 12th-21st March, 2018. This is a great time to be in South Africa. It’s beautifully warm but past the stifling heat of mid-summer. And of course a great time to escape colder northern climates. Could you tell us about the itinerary? 1. Day 1-3: Big 5 safari at the malaria-free Black Rhino Game Reserve near Johannesburg, with 2 game drives a day, a swimming pool and private chef. 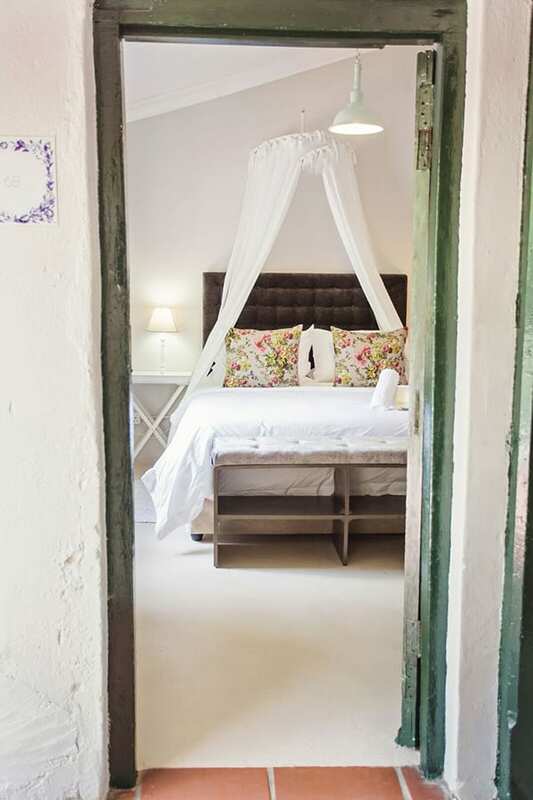 This will give guests some downtime to recover from jetlag and leave their busy lives behind! 2. 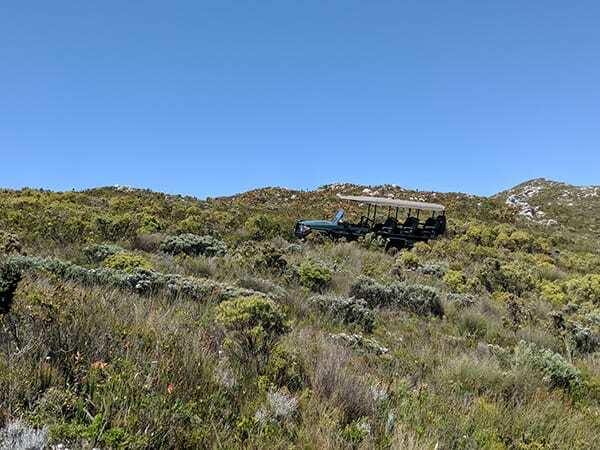 Day 4-7: We’ll move to a seaside villa in Cape Town and focus on botanical tourism, like foraging on Cape Point, identifying indigenous plants on Table Mountain, visiting Kirstenbosch Botanical Garden with a local plant guide and a garden tour and farm-to-table lunch at Babylonstoren. 3. 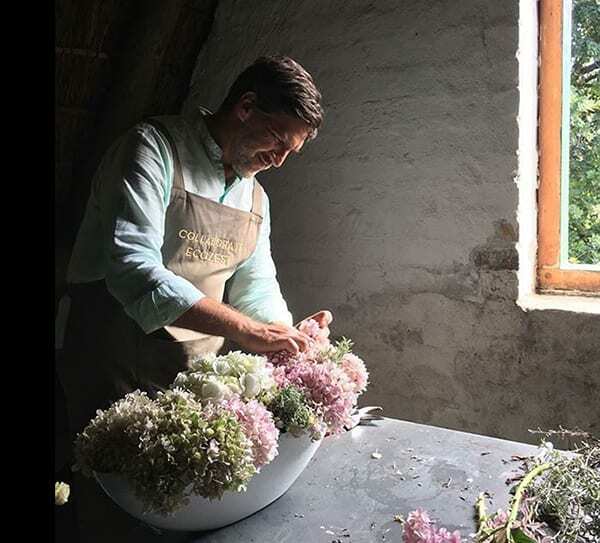 Day 8-10: This will be the floral design portion of the Journey with Susan McLeary from Passionflower and South African indigenous floral designer, Daniel Ferreira of Ecozest, (both pictured below) using all locally grown flowers. We’ll be staying at and designing at a working rose farm and will also have the opportunity to visit and get to know nearby flower farmers. The journey will wrap up with a feast under the stars, decorated by our African-inspired floral creations. 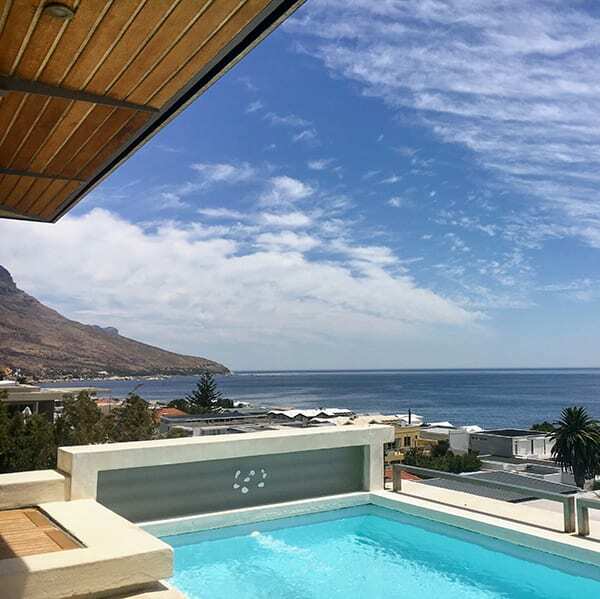 The intent is for guests to get to know each other, make friends with local South Africans and form friendships they’ll have for life. They should return home with new-found inspiration and skills they can re-invest in their business and personal lives. 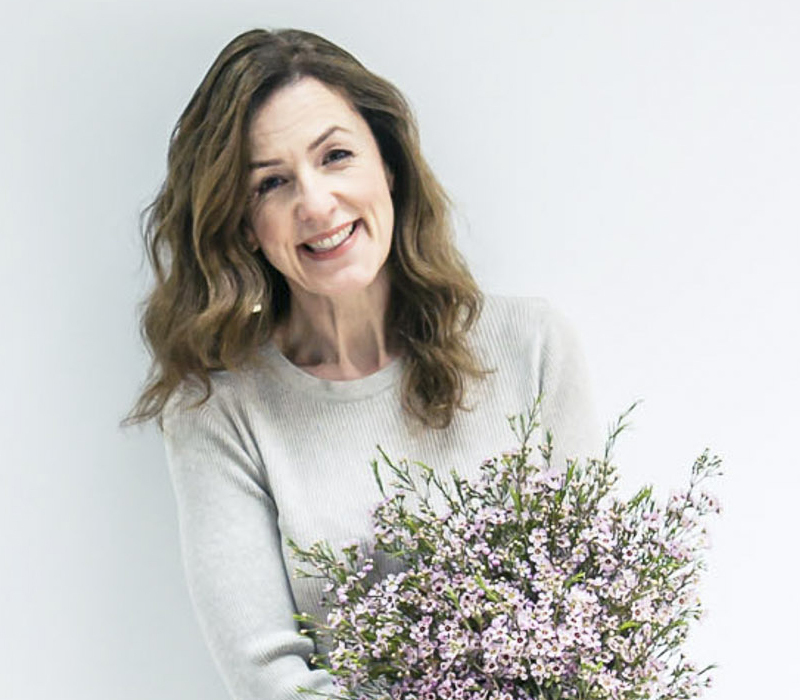 What kind of floristry classes will Susan McLeary be holding? Susan is excited to teach some of her signature bold designs using the rich textures and variety provided by South African native plants. We want designers to be able to apply the principles and techniques they learn back home, so the focus will be on bridal bouquets and centerpieces, floral wearables and large scale foam-free installations. 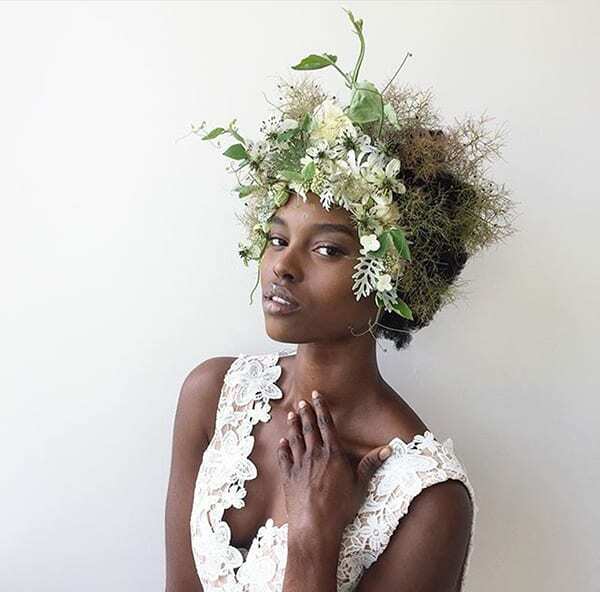 What type of flowers and foliage will attendees be designing with? All the products we design with will be indigenous or locally grown, with some “fynbos” foraged directly from the bush on surrounding farms. 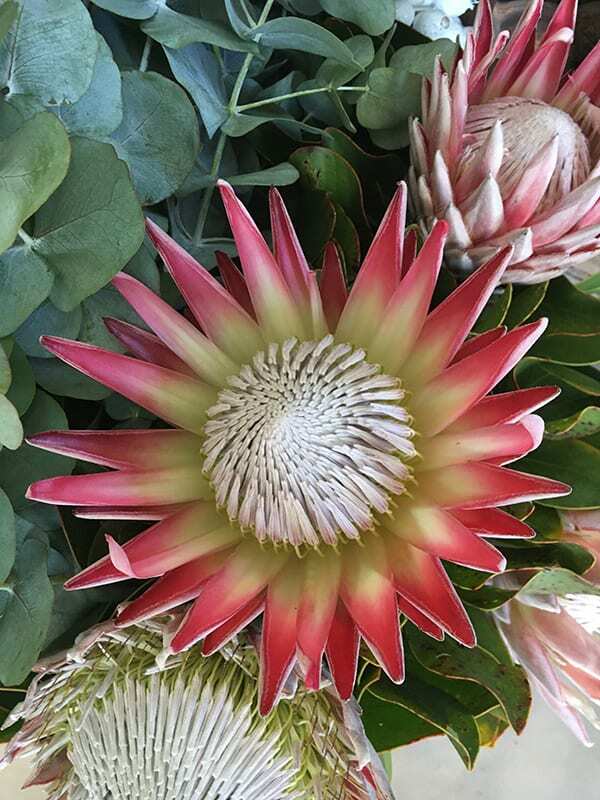 Fynbos species like Proteas, Leucadendrons, Ericas and Restios (reeds & grasses) will take center stage with a few surprise elements like kelp and other South African treats. 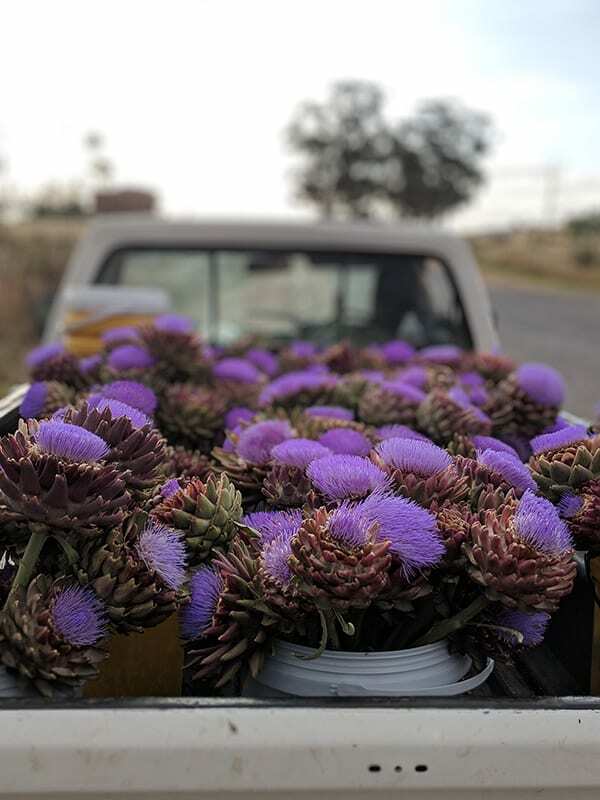 We’ll also source fun local elements like alliums and artichokes, and some of the more delicate cutting garden varieties like dahlias and roses. Will there be a professional photographer on hand to capture the attendees’ floral designs for their portfolios? Yes, all the designs created in the workshops will be styled on gorgeous South African models and provided to attendees as a reminder of that time they pushed their creative boundaries to the max and created greatness. The experience is limited to 15 participants to ensure an intimate and comfortable travel experience. No large coaches here! Ok, maybe a minivan… but a stylish one. Could you tell about your floristry background? I was born to a florist mother and landscaper father in a small town in South Africa, Plettenberg Bay, and grew up “foraging” (which was not a thing in the 80s) and helping my mom with wedding flowers. I only picked it up again more seriously two years ago after a long career as a management consultant, when I was looking for more flexibility and creativity. I transitioned to full-time flowers last year. Attending workshops and meeting other flower professionals gave me the confidence to leave the corporate safety net behind and join the beautiful world of flowers. 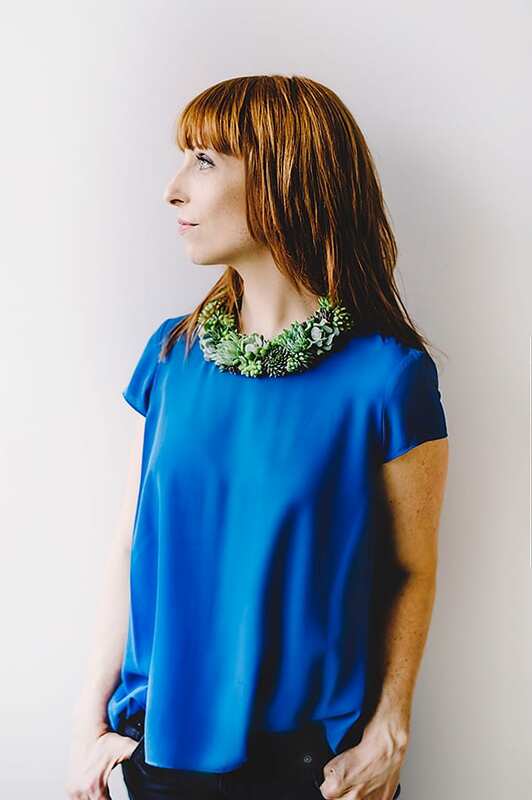 I’m excited to provide a nurturing environment on the Botanical Journey where designers can similarly reflect on their own personal and business aspirations. Cape Lily is offering 20% off the March ‘Botanical Journey’ for Flowerona readers until January 31st 2018. Please use the discount code RONA on checkout to activate. More details about the ‘Botanical Journey’ can be found on the Cape Lily website. And you can also schedule a 30 minute call with Sylvia to learn more about the Journey. Simply click here and then choose and day and time. Posted in partnership with Sylvia Lukach of Cape Lily.